The next day, Ahmed was nice enough to show us around a bit. He pointed out, right in the center of the Medina, a home where Moses ben Maimonides, also known as Rambam, one of the most famous Jewish philosophers of all time, once lived. Today, it’s a Chinese restaurant! Haha. He also took us inside Bouinania, one of two major madrasas in the medina where tourists are welcome to visit and see the intricate carvings and other features of classical Islamic architecture; there are only a handful of mosques in the entire country where non-Muslims are allowed to visit, so this is the closest we get. But it was beautiful. Between this and some of the other sites we’ve now seen – as well as from just walking around the streets – I really begin to understand why Art History textbooks often focus so much on mosaics and on doors. 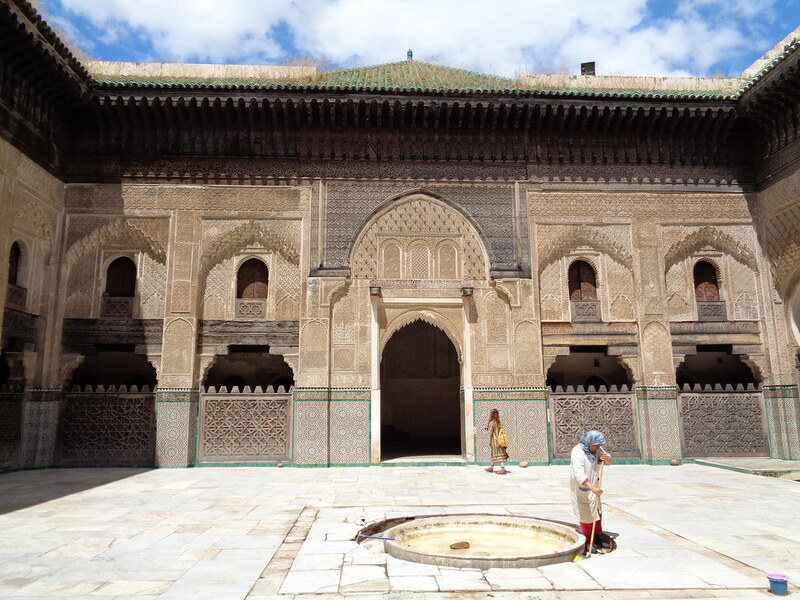 At least here in Morocco – I don’t know about the rest of the Muslim world – these really are the things that catch the eye; the places where ornamentation and attention is placed. Ahmed also took us to see a bronze worker, see a little bit of how these beautiful plates are decorated, extensive intricate patterns chiseled into them tiny bit by bit, by hand. Really incredible. 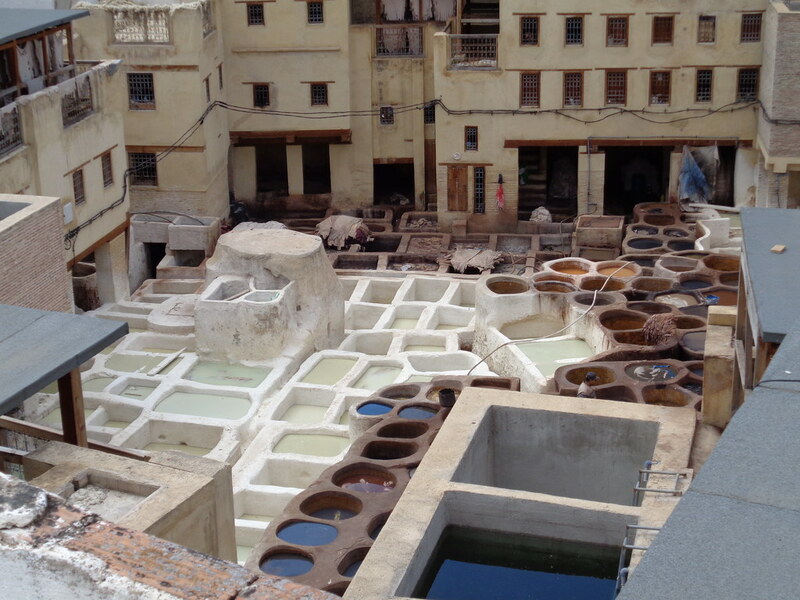 We then also got to see the Tanneries, where they make leather by traditional handmade methods. The place is terribly smelly. We got a view of it just from above, from a nearby rooftop. They bring in skins from outside of the city by donkey, and then treat the skins in various different ways, in different vats, scraping the wool and meat off, treating it in vinegar and pigeon droppings and other natural materials to get it to the right texture and strength and whatever, and use a giant wooden barrel, which looks like a waterwheel, as a pre-industrial-style washing machine, to wash the leather. Finally, another set of vats are used to fix colors into the leather, using a variety of plant dyes and other natural colors. Cochineal for red, indigo for blue, saffron or turmeric for yellow. Apparently goat skin is the softest and nicest; sheep skin doesn’t hold color quite as well, and it fades over time. Camel leather is quite rough, but is very much a thing. Makes me wonder how common camel leather (or imitation camel) is back home, because now that I’ve seen the real thing, I feel like I’ve seen it before. Finally, Ahmed took us to two shops run by his friends, to see if Simone could get her hands on some music CDs. Tiny little shops that I don’t think we’d ever have found on our own, way down a ton of winding winding streets… It’s weird, on the one hand, whenever anyone leads us anywhere it feels like it takes forever, down a gazillion turns. But then, once we’ve gotten there, there’s somehow this sense that surely it can’t be that hard. Surely, if we just walked down the main street and made just a couple of turns off, here or there, we’d find it, right? I don’t know. But, in any case, we did find one shop where this guy just burned custom CDs of whatever from his massive digital library. Personally, I would have liked to have some nice cover art and insert booklets – or at the very least to have a track listing with artists and song titles, instead of just somebody’s rough scrawl “Arabic music,” as generic as can be. But, then, I guess that’s part of the joy of traveling, and doing ethnographic work or whatever one wants to call it; you end up collecting all sorts of things – cassettes, LPs, not just commercial CDs. I’m also still trying to think about just how cheap it is to be here. For example, that one fellow charged us $4 per CD he burned; certainly quite cheap compared to $15-20 at Best Buy or whatever back home, but when you buy 10 CDs, you’re still paying $40. Not exactly just pocket change. On the other hand, we found some shoes for 20 dirham a pair – about $2; certainly an exceptional deal compared to anything. Even (knockoff?) Converse for 100 dirham ($10) is also a great deal. We also had a nice post-Ramadan break-fast buffet for 50 dirhams ($5) each – a steal. But, then a lot of the other places we went were still charging around $7-10 for a sandwich, another $2 for a bottle of water, soda, or tea, $18 for a bottle of wine; and there are places we went where a full multi-course prix fix dinner was anywhere from $30 to $50-60. So, again, it’s not like pennies a day. And, as for the hotels, to stay somewhere really nice for $30 or $50 or $70 a night is a wonderful treat, especially when the prices of hotel rooms in the US are so bloatedly overpriced (I have found tons of places to stay in Tokyo and all over Japan for $30-50/night, but even motel rooms in the middle of nowhere in the US it can be difficult to find anything decent for less than $80-100 in my experience), but even so, $50-70/night is still a not insubstantial amount. I hear rumor there are places in the world one can visit where it really is ten dollars a day, or whatever it may be, including the lodgings. 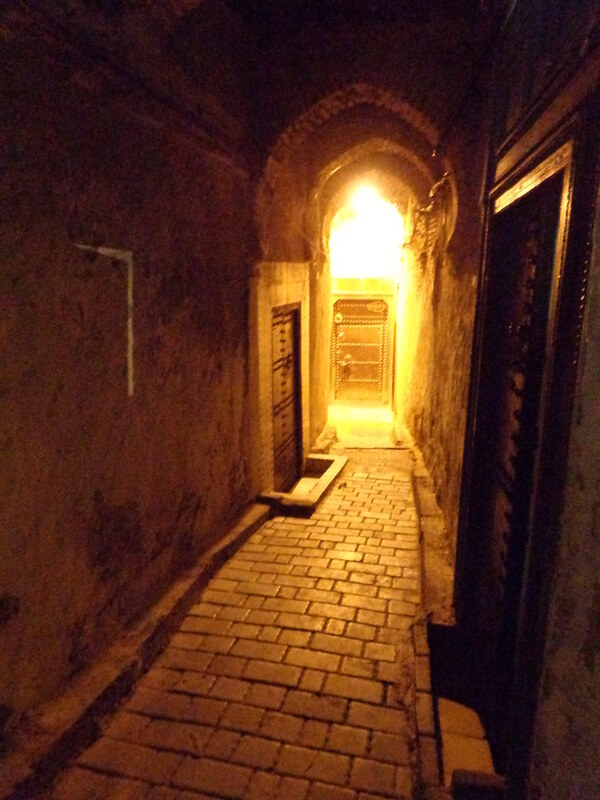 Morocco is pretty cheap, but it’s not that cheap. 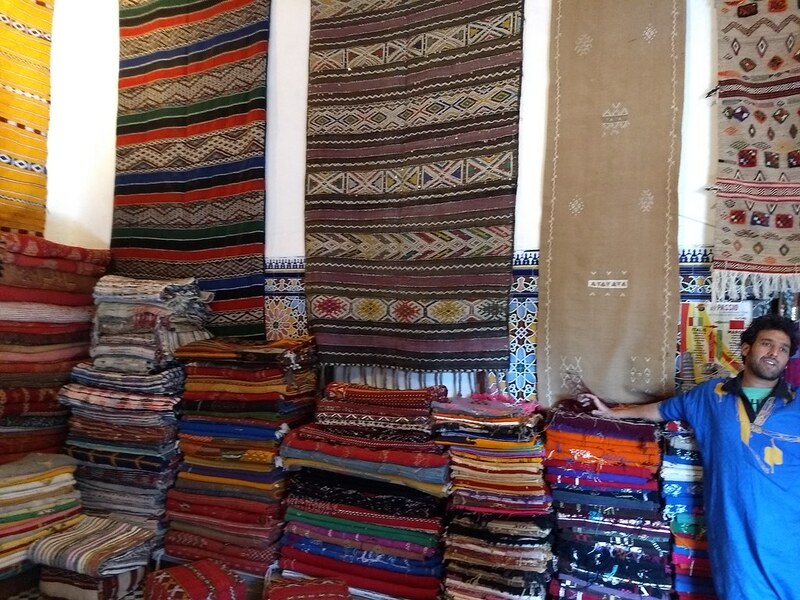 All in all, I don’t actually know precisely how much I spent in total on our Morocco trip, but it certainly wasn’t an entirely insignificant amount. In any case, Ahmed introduced us to another place, Restaurant Batha, where they had a single oud player, quieter and tamer than the show the first night. Actually, it was a bit hard to hear. But at least it was a bit more well-attended, and thus less awkward. Similarly beautiful, expansive, space. I wonder if maybe we’ve hit the quiet season. Maybe during other times of the year these places really are full and bustling. I hope so. Of course, during our time here, we’ve had our fair share of haggling and harassment. You can’t even look at something without someone coming up and trying to sell it to you. And sometimes they’re really persistent – Simone pointed out a pair of shoes I might like, in a neat cerulean sort of color. But even after we pretty quickly determined that they didn’t have that color in my size, the kid just kept trying to insist that the shoes could be made smaller if you put insole inserts in, and that I should just have a seat and try it on, try it on again, this color, that color…. And a couple of times we were taken in by people who brought us back to their other shop, or their other other shop, sometimes way down a whole series of winding streets such that we’d never find our way back on our own… and then once you finally get there, you learn that the ceramic bowls aren’t 2 or 3 or 5 dollars each, but are actually $28 (but are actually only $4 or $5 if you can haggle your way down to it – $28 isn’t really a real price)… and it just takes so long, and so much back and forth, trying to haggle down and trying to just get out of there. I hate it. And then, you have all the people who invite you into their shop for a cup of tea, or offer to show you around to wherever you want to go, and the next thing you know you’re in a situation where you really feel like in order to be polite you have to give them something, or to at least hear them out, or at least give their wares a try…. and so you’re there even longer…. The first overview of Ryukyuan history in English since George Kerr’s Okinawa: The History of an Island People, this is a most welcome publication. I have not read the original Japanese version, and so I cannot speak to how much it has been changed, but I am overall quite happy with this new book. Though I expected it to address just one aspect of Ryukyuan history, serving as only one argumentative/interpretive piece of the scholarly tableau of Ryukyuan history alongside works by Tomiyama, Watanabe, Smits, Takara, Kamiya, and so many others, it really does serve as an introductory overview of the entire history of the kingdom, from the Gusuku period (roughly, 9th to 14th centuries, when elites and eventually “kingdoms” first began to emerge, before being unified under a single Ryukyu Kingdom) all the way up to the abolition of the kingdom in the 1870s, though it focuses most strongly on the early modern period (1609-1870s) and on relations with China over those with Japan. I have not had a chance to read the entire book through, and so I cannot say definitively what the book as a whole includes and what it overlooks, but generally it does seem an excellent overview, touching upon domestic developments, political relationships with China and Japan, Ryukyu’s prominent place in regional trade networks, and so forth. I actually really appreciate this focus on relations with China. Any choice that an author makes, to emphasize connections with China over those with Japan, or vice versa, is a political choice. The truth lies somewhere in the middle, and is much more nuanced and complex than perhaps any one publication could ever really convey. So, you have to choose. The same is true for the choice to emphasize the integrity of “Ryukyu” as a unitary and cohesive political, social, economic, or cultural entity over its disunity and diversity, or the other way around. So, perhaps the best we can do is to keep putting out works that illuminate or highlight one side of it, one aspect, and just keep re-balancing, and further complicating, further nuancing, further (re-)correcting the narrative that emerges in aggregate. For a number of reasons, starting with the fact that the Ryukyu Islands are today part of Japan, their connections to Japan have always been strongly assumed, emphasized, and discussed. 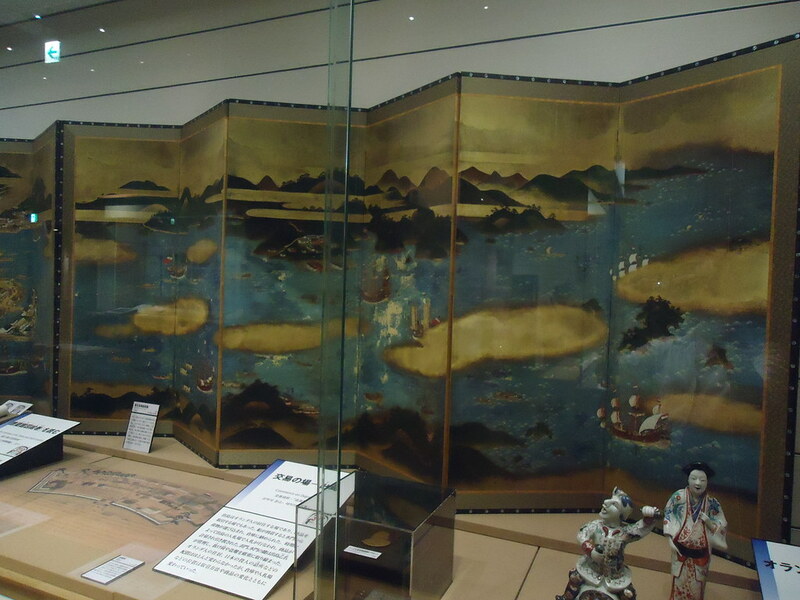 And there is certainly validity to that – Ryukyuan culture (esp. folk culture, rather than elite/court culture) in many key respects originates fundamentally, in prehistoric times, from the same “Japonic” wellspring as Japanese culture. The language bears much in common with classical Japanese, the folk religion and folk customs otherwise bear much in common with those of Japan, and the occasional Chinese official’s assertion that Ryukyu “belongs” or “belonged” to China historically is a load of hogwash. But, this association with Japan being the dominant assumption, there is great value in explicating, or illuminating, Ryukyu’s own separate distinctive history, and its history of connections to China. In that respect, it makes me want to read more of Akamine’s work (and that of others, such as Watanabe Miki). Speaking of the early modern section, which I focused on in my reading, I was quite happy to see Akamine discuss domestic, internal developments within the Kingdom, and to devote an entire chapter to “Reform and Sinification of the Kingdom.” Smits touches upon this, to be sure, but while it might be just the bias formed by what I have been choosing to read in order to research my own topic (and what I have not been reading), I feel as though there is so much debate and discussion about how we talk about Ryukyu’s relationships with China and Japan, and some of the internal developments drop out. This past year, as a visiting researcher at the University of the Ryukyus, I heard professors and grad students from time to time mention the gradual but significant Sinification of the kingdom over the course of the 17th to 19th centuries, shifts and changes in ritual practices, and so forth, as if this was already well-known and established. Well, maybe it’s because I still haven’t gotten around to reading the full-length monographs by Tomiyama, Takara, Watanabe, and others (because they’re lengthy, time-consuming, and intimidating, hundreds of pages in Japanese), but I just never felt I had come across any real explanation of this. So, I am very pleasantly surprised to see it articulated by Akamine. He also touches upon the introduction of feng shui into the kingdom, and into the organization and layout of Shuri castle, another of a handful of topics simply not explicated in other books or articles I’ve happened to read. It’s really a great book, and I am glad to see the English-language coverage of Ryukyuan history expanding. My only critiques are a few small points about language, which caught my eye. (3) in a Chinese reading, as might be more accurate in many cases, but for which I just don’t know the truth. I had drafted quite a few paragraphs trying to address this issue in my review of this book, going back and forth about a lot of different aspects of this issue, but if anything I think that merits a separate blog post of its own. So I think I’ll skip that mini-rant for now, and just say that I applaud Terrell and Huey’s choice to give Ryukyuan individuals’ Chinese-style names in Mandarin pinyin. 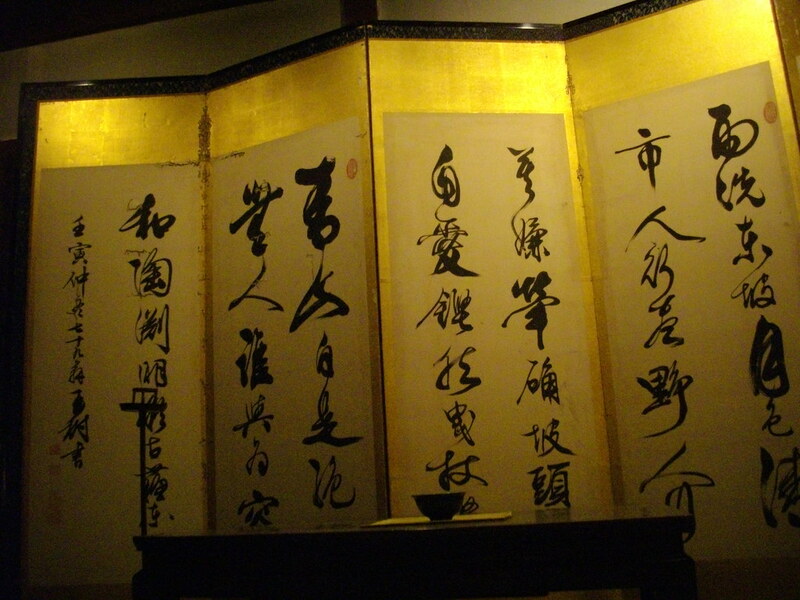 Ryukyuan scholar-aristocrats often had multiple names, going by an Okinawan/Japanese style name in some contexts, and a Chinese-style name in others. For example, the great educator, scholar, and official generally known as Tei Junsoku 程順則 was alternatively known as Nago ueekata Chōbun 名護親方寵文 (or, I suppose, in Okinawan, something more like Nan ueekata Chūbun?). Yet, while he’s very well-known today as Tei Junsoku, one wonders if he ever went by that name, or if he and others pronounced it in a Chinese fashion, as Chéng Shùnzé. Throughout the volume, Terrell and Huey give these Chinese-style names in Mandarin pinyin; I don’t know if Ryukyuans genuinely pronounced them in Chinese,1 or in Japanese or Okinawan readings, but if the former is historically accurate, I think it’s excellent to push against the Japanization of these Chinese-style names, and to introduce readers to thinking about these people by the non-Japanized, pinyin, readings of their Chinese-style names. I just wish I knew if it was accurate. Now, I must admit I cannot speak to the quality of the translation overall, as I have not read the original Japanese version of the book. However, if I have one criticism of the book, it is an under-critical use of terminology, including the Japanese readings and meanings of terms, here and there. To be honest, this only glared out at me a few times, but where it did, well, ideally it shouldn’t happen even once. To note just one example which stuck out to me: on p80, they discuss the use of the term shi 士 (C: shì) to refer to the Ryukyuan scholar-aristocracy. Using that character to refer to the scholar-aristocracy is, so far as I know, accurate. I think, if I remember correctly, that term does appear frequently in the primary sources. However, the book then spends a good number of lines both in the main text and in the endnotes talking about how this term means “warrior,” and explaining how the Ryukyuan scholar-aristocrats were not, in fact, a warrior class. Now, I may be wrong, and if I am please do let me know, but my understanding is that the character 士 only has that “warrior” meaning in Japanese because it was appropriated by the samurai class in order to represent themselves as cultured, refined, elites. In Chinese, and in the context of Confucian discussions of the meaning of the term, it does not refer to a warrior (武士, J: bushi), but to a scholar-gentleman (君士, C: jūnshì), which it seems to me is precisely how the Ryukyuans were using it. So, in short, it is surprising to me that Akamine, and/or Terrell and Huey, find themselves tripping over untangling the word from its Japanese meaning, when they could have just skipped that entirely – or could have more explicitly stated that the association of this term with warriors, and thus the mistaken assumption that Ryukyu had a samurai (or samuree) class, is a mistaken understanding based on an insufficiently nuanced understanding of the meaning of the term 士 as referring (even from the very beginning, in the Analects of Confucius themselves) to an educated, cultured, well-mannered, scholar-gentleman. On a somewhat similar note, likely in large part because it’s a translation of a Japanese work, and not originally written in English, the text does not engage with its own choices of terminology. For example, while Akamine describes out the character of Ryukyu’s relationships with Japan and China, how the kingdom was more directly impacted by Japanese rules and regulations, while on the Chinese side it was a more purely ceremonial and cultural (+economic) relationship – though he does do a good job of describing out this complexity, still the book calls Ryukyu a “vassal” of Japan and a “vassal” of China, without touching at all upon the questions of what we mean by “vassal,” “Japan,” and “China.” (p82-83) Earlier in the book, too, the term “client-state” is used without any discussion of the implications of that term. What is meant by “client-state”? How is this different from “vassal”? So, those are my quibbles with a few language issues. 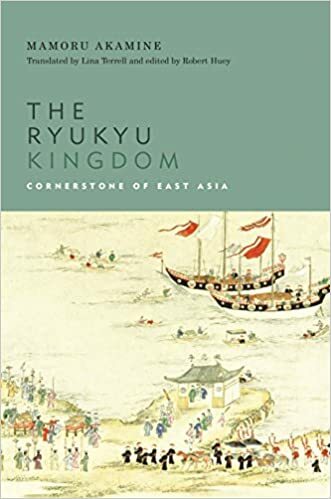 But, overall, this really is a great book; I’m glad to see a new survey of Ryukyuan history out there on the shelves, and one which explores and explains quite a few aspects of the history not well-explained elsewhere in the very few other English-language books on Ryukyu. Glad to have finally gotten my own copy, and to add it to my shelf. Looking forward to Gregory Smits’ Maritime Ryukyu, 1050-1650, which promises to add to this story further. 1. And, of course, once you start getting into language issues, you start getting into issues of historical language as well. Of course, Ryukyuans in the 17th century didn’t actually pronounce anything according to modern 21st century Mandarin, Japanese, or Okinawan. And even if we did take the bother to try to represent these things in accurately early modern Beijing, Edo, or Naha-Shuri pronunciations (which is a nearly impossible task), this still wouldn’t properly take into account whether they might have spoken Fujian, Kagoshima, or other dialects. The issues are endless. Back in New York for just a few days, of course I had to visit the Met. After going to the bank and getting a letter officially noting me as a New York State resident so that I could avoid the new $25 admission fee ($12 for students) and continue to “pay-as-you-wish,” I made my way to the museum. The one big must-see show up right now (until May 28) is Golden Kingdoms: Luxury and Legacy in the Ancient Americas, which I blogged about when I saw it at the Getty a few months ago. If you have the chance, do check it out. It’s a really incredible exhibit. But, having seen that already, I skipped it, and headed over to the Asian Art section, stopping first at Arms & Armor, where I found to my surprise a delightful little display (three or four cases, maybe about 12 objects total?) of Qing dynasty arms and armor. Most certainly not something you see everyday. The Qing was a major empire, which fought many wars and battles and expanded “Chinese” territory considerably over the course of its nearly 300-year reign. Further, while the Ming and Song and Tang and Han and nearly every other Chinese dynasty also had extensive armies and their share of wars, the Qing in particular was founded in Manchu warrior culture, from the warrior bands of the nomadic steppe. And yet, while just about every museum in America has at least one samurai sword or samurai suit of armor on display, it is all too rare that we see anything at all of Chinese arms and armor. So, this was a most pleasant surprise. The exhibit includes some small decorative knives, ornately decorated saddles, a Qing helmet just like seen in many paintings of the time, and a princely seal granted to Mongol Princes. But what really caught my eye was an 18th century matchlock gun decorated with carved red lacquer. According to the gallery label, this gun is “extraordinary, possibly unique,” in having such extensive lacquer decoration on a firearm. One wonders how this was used – purely for display? 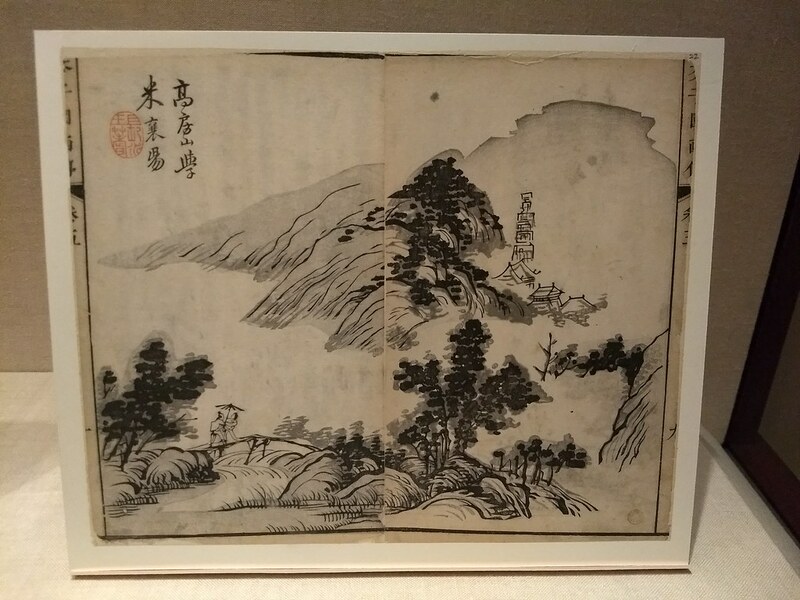 Next, I found my way to the main China galleries, where they were showing yet again yet another show of gorgeous landscapes. But what I quite liked about this show was the inclusion of some wonderful quotes from all across Chinese history, on the gallery labels. In each section of the exhibit, we were greeted by a new label introducing us to a new aspect of landscapes and landscape paintings, and each of these labels had a just wonderful quote on it. A small touch, but something I absolutely took photos of, and will use if/when I ever teach a course on Chinese history or Chinese art history. The Museum is also in the process of finally reopening its Musical Instruments galleries, after a lengthy renovation. And they’re beautiful. I quite enjoyed seeing not just beautiful examples of instruments from across history, from around the world, but examples directly associated with notable historical figures, including a guqin commissioned by Zhu Changfang, one of the Ming loyalist rulers of the Southern Ming; a cello made for George, Prince of Wales (crowned King George IV in 1820); a Turkish ud by Manol, once owned by Udi Hrant, and another ud previously owned by Mohammed El-Bakkar – not that I know who those people are, but I’ve been getting into Turkish music lately, courtesy of my girlfriend, and it’s fun to not just see yet another ud, but to also start learning some names. 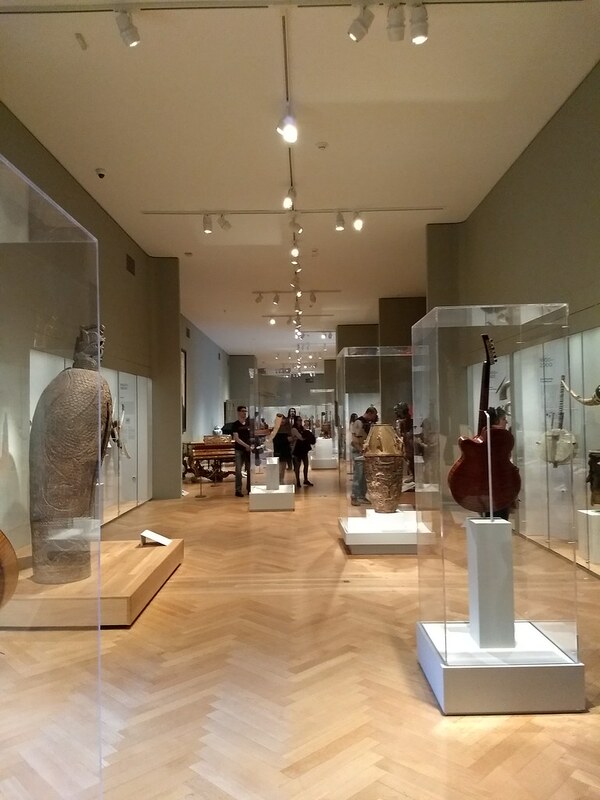 The one half of the gallery currently open is organized by Time, from the most ancient instruments, including something resembling King David’s harp, to the most contemporary, including an electric pipa. I’m eagerly looking forward to the reopening of the other half, which will be supposedly organized by Space. The WordPress App for iOS formerly had a terrible glitch to it that if you lost internet connection (e.g. going into a tunnel) while saving/uploading a blog post, the post would get “stuck” in a “currently uploading” status, and could not be edited, retrieved, re-saved, retried, or anything. It would just be “still uploading” forever. Fortunately, the bug has been fixed in the newest update. Thus, a blog post I wrote back in July became once more accessible and editable for me, and so I posted it today. I never suspected that such a database existed, so accessible and easily searchable. Looking for a kabuki play? a samurai clan’s records? records of the trade at Nagasaki? an Edo period novel? You can search for it here, and find out which libraries have handwritten manuscript copies (写本), and which compilations or anthologies contain a modern typed up (活字) copy. It’s pretty incredible. All these things which I never thought I’d ever be able to find, suddenly available (almost, not quite) at my fingertips. I searched for Gosannen Ôshû Gunki, a kabuki play composed in 1879 for the special occasion of a visit by former US president Ulysses S Grant to Japan. Performed only once, so far as I knew, I assumed that there was no written record of the script – kabuki, so far as I was told, never tended to keep scripts, the plays being pretty fluid, changing a bit every time they are performed. But, search for it I did, and there it was: original (woodblock?) 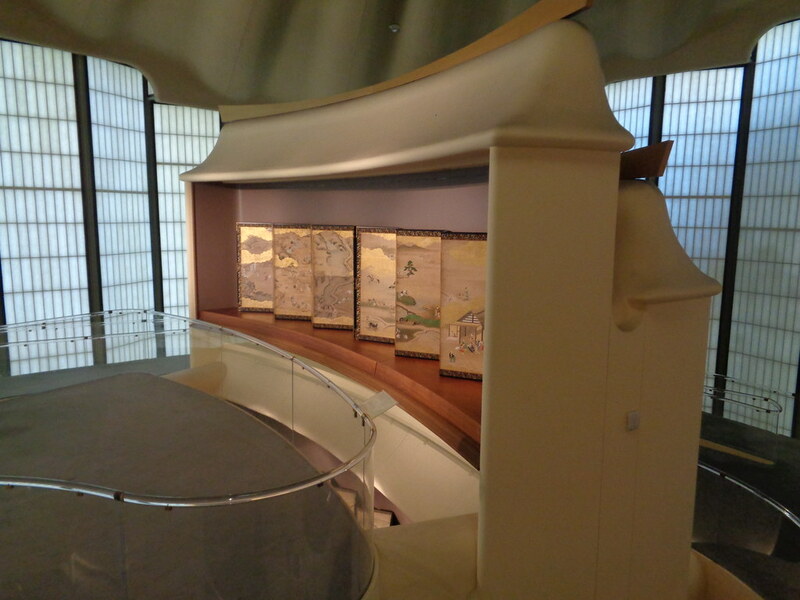 printed copies in numerous libraries, including Tokyo University, Kyoto University, Waseda University, Geidai (aka Tokyo Univ of the Arts), the National Diet Library, and the collection of Shôchiku (the kabuki production company). And! a typed version of the document available in an anthology called 続帝国文庫並木宗輔浄瑠璃集 (zoku teikoku bunko Namiki Sôsuke jôruri-shû; Collection of Jôruri plays by Namiki Sôsuke, Imperial Archives, continued). Finding that anthology might not be the easiest thing to do, but, for a document I suspected never even existed to begin with, that’s really something. (2) Want to read a certain Japanese story or novel, but aren’t sure if an English translation exists, what it’s called, or who it’s translated by? Want to translate and seek to publish a Japanese story or novel, but aren’t sure if someone’s beaten you to it? 日本文学翻訳書誌検索 (Japanese Literature in Translation Search), powered by the Japan Foundation, is another very interesting and useful database. You can choose from a great many languages, not just English, and search by Japanese author, title, publication year and/or keywords, and find whether the book in question has been published in translation. How long has this feature been around? I just discovered it today, as I Googled the name Ôkuma Shigenobu (founder of Waseda University, former prime minister, and all-around major Meiji period figure) and found a link to this timeline, auto-generated from web results that feature his name, and a date. Sadly, I don’t imagine this could possibly be reliable in any way; I’m not going to leap up and start plugging these facts – from a wide range of websites with an equally wide range of degrees of authoritativeness and reliability – into Wikipedia or, god forbid, my scholarship. But… it’s still a cute feature I hadn’t previously known about.